Serving as an educational institution for the public, tourists, government and private organization, the Bangkok Snake Park runs in the Queen Saovabha Memorial Institute. This organisation helps visitors understand more about the snake habit and help them understand more about this beautiful specie. Through the means of terrariums, exhibitions, museum, venom extraction and snake handling demonstration; this organisation has provided knowledge about the snakes along with providing entertainment to the public. In the year 1929, His Royal Highness Prince Paribatra Sukhumbhand along with his three cousins generated the “Simaseng Fund” (also called The Four Snakes Fund) to support the cause and operations of the Red Cross Society of Siam who helped patients that have been bitten by venomous animals. Today, the snake park provides education on snake biology, snake bites treatment and first aid treatments for snake bites. Top attractions of Bangkok worth your visit include Wat Pho Reclining Buddha, B T S Skytrain, Rajawongse Clothier, Grand Palace and Wat Phra Kaew. Visit these and also discover other interesting things to do in Bangkok before planning. Insider tips and expert guides will make sure you enjoy the city to its fullest. You can do so by booking any of the Bangkok tours. Your worry of where to stay in Bangkok is sufficed by bunch of interesting and comfortable lodging options in the Bangkok like Ibis Bangkok Riverside, Yellow Ribbon Hills Boutique Suites, Kokotel Bangkok Surawong and Marvin Suites. How popular is Snake Farm? People normally club together Soei Restaurant and Saranrom Park while planning their visit to Snake Farm. Very helpful staff and amazing snakes. The snake shows are educational and fun to watch. Very informative. There demo at 11:00am was great but they need a new sound system. The Snake Farm is tucked away in the back of the Red Cross campus, but any of the security guards will be happy to point you in the right direction. If you get there at 11, you can watch them perform the venom extraction procedure in the auditorium. 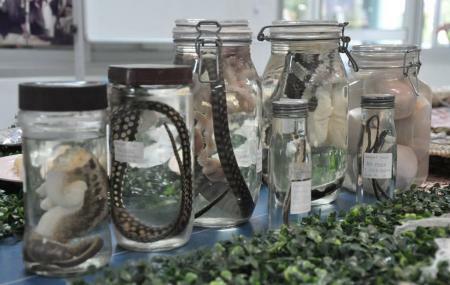 There is also a large collection of snakes, Snake skins, and skeletons. They have exhibits indoors as well as additional ones outside. Incredible facility to learn about and see a huge variety of snakes. Has 2 shows, a snake "milking" where they extract venom in order to make anti-venom, as well as an outdoor exhibition of many snakes including cobras! Definitely one of my favorite spots in bangkok. Many snakes to see and there is a snake show too.